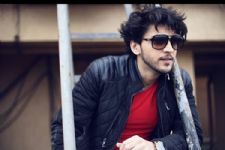 Colors' popular and one of the longest running shows Udaan started off with a bang and a very promising storyline and acting. The show continued to win hearts until last year when the rumors of show going off air were rife due to weak plot. The show somehow managed to get an extension and hence it took a leap to try and bring new twists in the story. 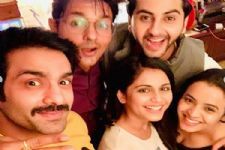 Recently, the show went through a major development as the lead actress Meera Deosthale who played Chakor left the show and Mere Sai actress Toral Rasputra replaced her. This came as a huge surprise for the audience. The latest we hear is that actress Drisha Kalyani who earlier used to play Pakhi in the show is about the re-enter the show very soon. Yes, you heard that right! 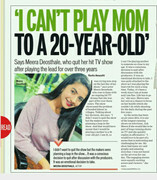 Apparently Drisha's re-entry in the show will amp up the drama in the on going track of the show. 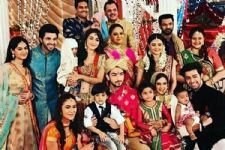 According to sources, in the current track, Chakor returns to Azadganj to save Sameer and Anjor and suddenly Bhanupratap gets a hint of Chakor's return. Bhanupratap finds a letter that she left for Anjor, and hence finds it fishy. To confirm his doubt he goes to Pakhi's house as per the letter's address to find out the truth. Whatever happens next is what the upcoming storyline will reveal. Waiting for #MeeraDeosthale comeback. Missing her immensely Onscreen. Lots of love and best wishes to her . Meera Deosthale missing you onscreen. hope she bags a better project soon. Watching Udann for Tanya Sharma i.e. Angie. Love you lots.